Now, here’s something you can vote on and is a first for Disney merchandise! 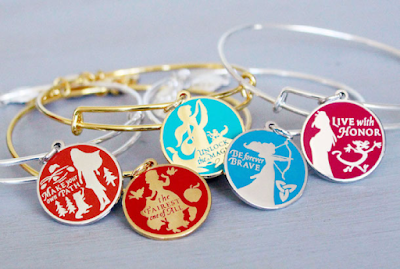 Disney has released a sneak peak of their 2017 Alex and Ani Bangles . This new collection is called “Words are Powerful,” and Disney is allowing YOU to be a part of it. Currently, 5 images of bangles have been released. By visiting the Disney Parks Blog, you can vote for your favorite to be released in spring 2017. Disney will pick three bangles that receive the greatest amount of votes to make their way to the Disney Parks and Disney Parks App. Pretty neat, huh?